Mastering communication skills and soft skills is a prerequisite to becoming a great leader in the current times. Management jobs require a lot more than just knowledge-driven acquisition of education. Instead, the extent of management goes beyond the books and caters to the supervision abilities of a manager. Before being a good leader, it is essential that you become a good orator capable of convincing and making people follow you. This is why we, at IIMR, has developed a dedicated skill-based training program integrated with the management education to brush the soft skills and the communication skills of each of ourmanagement students making them flawless in their performance. 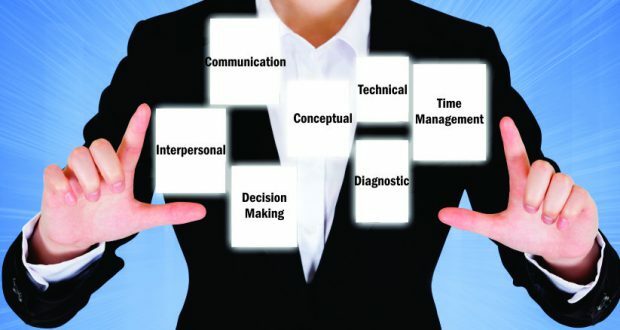 Pursuing a career in management means that you should have flexibility and adaptability as your key traits. People enrolling for management courses come from various streams and from the very first day of the academic session there happens a collateral exchange of values, morals, knowledge, and cultures. Moreover, management being a broad category encompasses a lot of career opportunities within it which demands the candidates to be adaptive in nature and flexible in spirit to get mingled with any given situation. The open environment at IIMR promotes unchained learning with no prejudices that make the students capable of adjusting to any condition in life and paves the way for them to become great leaders in the future. The system of education at IIMR has been aligned to the modern approaches that make the pedagogy perfect in every sense. We have incorporated training on advanced work skills, digital skills training, and language lab training as some of the crucial elements of our management curriculum that helps to groom the budding managers for the global business world of tomorrow. This progressive and out of the box teaching approach makes IIMR a pioneer in the domain of management studies. We believe that education is a constant process, and no form of stagnation can be allowed within the extent of knowledge. Hence, our gamut of veteran teachers also goes under faculty development training program that keeps on filtering their knowledge and refreshing the techniques of teaching keeping the modern ways in mind. We, at IIMR, also provide a broad spectrum of choices for the students with the opportunities to indulge in doctoral programs that the able faculty members help them with. Vigorous market researches and extensive, comprehensive learning are the two pillars on which the pioneering efforts of IIMR stand. Projects, simulations, digital library, and the experiential teaching technique make IIMR stand apart from the crowd. We, at IIMR, not only emphasize on gathering knowledge but also help the students to achieve their goal in life. Any knowledge remains pointless without the appropriate application of the same in the real world. Our dedicated and well-equipped placement cell assists and guides the students to identify their areas of strength and work accordingly to get the maximum benefits. There is also an entrepreneurial cell at IIMR that helps the students to gain expertise in the domain of entrepreneurship. The activities at the incubation center of IIMR are supported by MSME, Govt. of India and some of the venture capital funds that make it strong. We, at IIMR, offer the best support in the form of infrastructure, faculty, pedagogy, skill development, and much more that has made us stand as a pioneer in the field of management studies.So, if you have been aspiring to make a career in the domain of management, IIMR can provide you with ample opportunities to flourish and turn your dreams into reality.